I’m Abby Corriveau, Head Mama Bear at Sustainable Movement. I am a Nutritious Movement Certified Restorative Exercise Specialist, natural movement expert, kettlebell expert and a Certified Pre & Postnatal Coach with 12 years of coaching experience. With my integrative and extensive expertise, I have helped hundreds of people, especially mother’s, restore their health, and heal their bodies with sustainable results. My mission is to help modern day mamas move more and well so they can live a healthy and joyful life that aligns with their truth. With our technological advances in our modern day world, and our busy schedule, we’ve exchanged our inherited ability to move for convenience. And as a working-mom, I TOTALLY get it. I am with you. That’s why I created, Sustainable Movement. I want exercise to be accessible, realistic, and sustainable so that you can give your body the nourishment it needs and deserves. 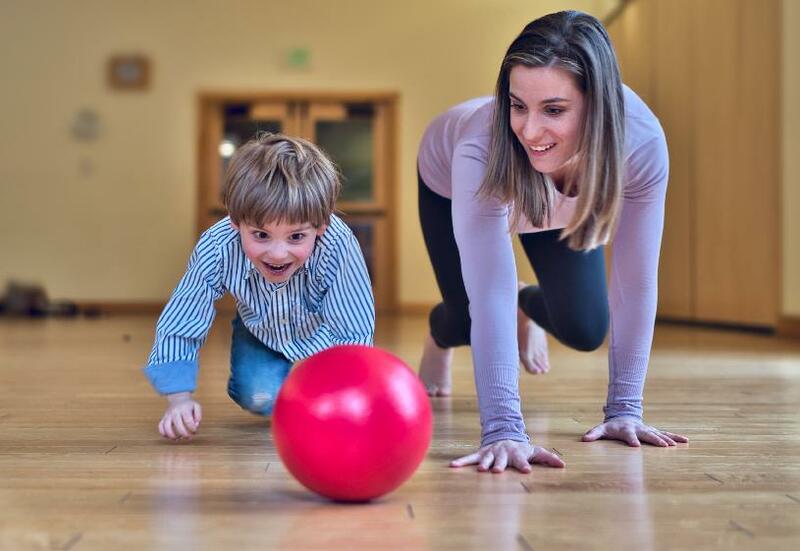 My goal is to help you restore your movement, strengthen and heal your body with sustainable movements that awakens sedentary parts of the body, reactivates the mind and body connection and get you moving more with strength and ease throughout the day… without adding more stress. Because, we don’t have time for that! With my tools and programs, I can help you nourish and care for your body with whole body exercises and movements that will empower you to thrive in motherhood and live your life to it’s greatest potential. Your body deserves the love, care, and nourishment you give to others. And you deserve it for LIFE, not just temporarily. Sustain your health and body with Sustainable Movement. Abby has helped me greatly through personal training and natural movement. I’m stronger, more flexible, and my balance has improved. I’m doing things I don’t think possible 64 yr old former coach potato with rotator cuff damage. Working with Abby has been an empowering experience. "Abby goes out of her way to work my limited availability into her schedule and provides support beyond my expectations." "I'm extremely satisfied with my results and grateful to Abby for giving me the knowledge to continue on my new fitness journey." Are you ready to empower yourself with sustainable movement? I am ready to help you, mama! 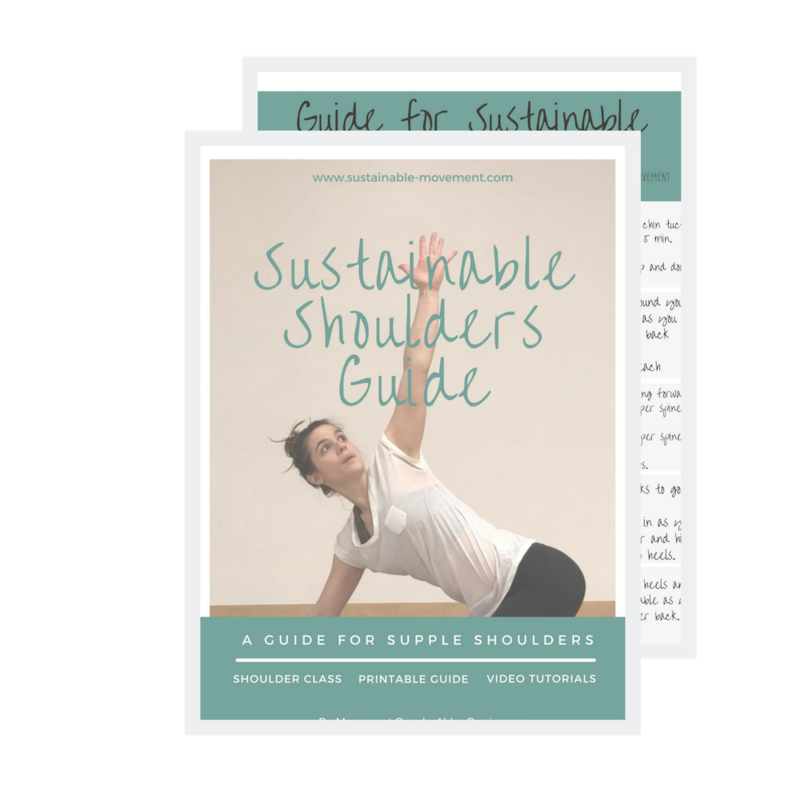 Sign up for our newsletter and receive a FREE copy of the Sustainable Shoulders Guide! Thank you for subscribing to our newsletter! Your free copy of the Sustainable Shoulders Guide will be in your inbox shortly. Make sure you check your spam box if you do not see it.